The DBI LED indicators from SIGNAL-CONSTRUCT are electroluminescent diodes, encased in special housing, equipped with leads that facilitate their mounting on printed circuit boards. 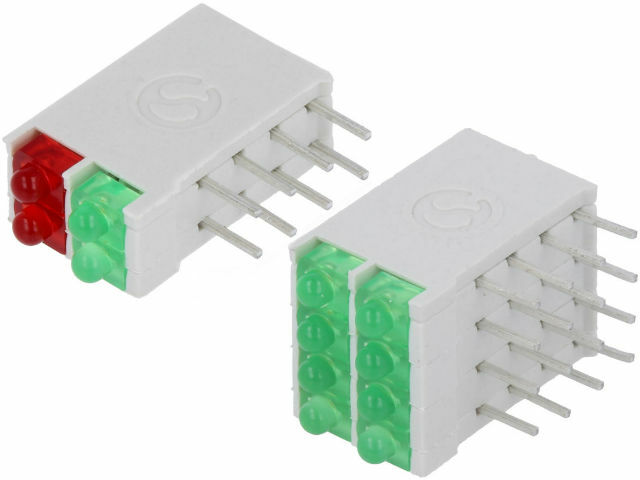 These modules allow for quick visual indication of voltage in a circuit (or lack thereof) that can be useful for getting information about the device status (e.g. power on, circuit on, emergency etc.) The structure of these modules enables combining them into larger blocks. lifetime of 100,000 h (with a 50% drop in brightness).